HUBER GREEN PCB Inks, Pack Size: 0.500 GMS. - We have complete range of PCB inks, we also give customized solution for PCB inks. In order to meet excellent quality standards, we are supplying PCB Ink. We have marked a distinct and dynamic position in the market by providing a high-quality array of Tracking Ink. Leveraging on our long experience in the field, we provide an assortment of PCB (printed circuit board) ink. Our range is made with premium quality raw material such as resin, solvents, pigments and fillers. - The Best Company in UV Applicable Technology & Special Metal Halide Lamp. - UNILAM CO., Ltd., which was spun off from Samsung SDI Co., Ltd. Is highly specialized in UV applicable technology and special metal halide lamps. We are manufacturing wide range of PCB ink. Used for Track printing on PCB. 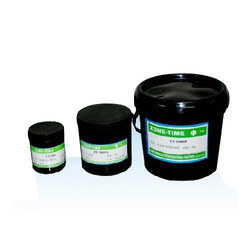 We are a top notch supplier of Solder Mask Ink.